A few weeks ago I wrote about the exciting Canadian pianist, David Braid and his collaboration with the Canadian Brass. On his latest release, Braid goes it alone with Verge, a beautiful and diverse selection of solo pieces that has been on repeat in my house for days now. David Braid is one of the few pianists capable of straddling both the classical and jazz worlds with ease. In addition, the ability to perform a solo piece, while not daunting for a pianist, does ask the question, "how do you make it different?". Well, Braid does that magnificently. A combination of masterful technique, delicate arrangements and hint of playfulness makes Verge a real treat for jazz fans. Opening with the lovely "Le Phare" (some one correct my French but I believe it is "the lighthouse tower" or "the lighthouse"), Braid rolls out the statement of Verge, an experiment that will be both exhilarating and contrasting. Braid's playing climbs into a rolling melody midway through and never lets down until the end. It's a delicate performance set with rich harmonics and was based on the great composer Igor Stravinsky's thoughts that music can be used to revolutionize lives. Braid certainly is a shinning light in this regards. Braid switches to prepared piano for a truly different version of "The Way You Look Tonight" that is startling and slightly unrecognizable at first listen. I actually had to start the track over because I wasn't sure it was what I was hearing. There is a great set of improvised moments throughout highlighting Braid's dynamic way of reshaping this standard. "Richmond Square" again sees Braid on prepared piano and utilizing a great deal of speed and creativity by manipulating the piano into not just a melody instrument but also a groove laden percussive one as well. 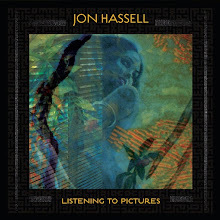 Inventive, infectious and inviting wrapped up in just over six minutes--wow! Braid returns to a mellower focus on "Semi Unconditional", a track that follows a balladry form, with warm and highly emotional undertones. The most adventurous piece on Verge might be the one Braid didn't write, "Spring Garden Night" based on a Chinese folk song. Braid again manipulating the piano giving it a very dense nature and Eastern atmospheric. It works extremely well. Braid utilizes the space well and creates some moving and thoughtful imagery that could sit well alongside the material of Harold Budd (big words I know) with this piece. 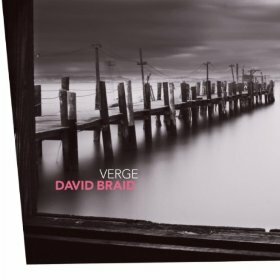 With Verge, David Braid has really set himself up with a terrific launching pad that should be recognized by a much wider audience. His inventiveness and in some case risk-taking are elements that are making David Braid part of that select few pianists in jazz that continue to move outside the borders of the genre. Chord Four: Californian Avant Garde?